I remember the first time I had Grilled corn, Mexican style. I was probably 19 or so at Café Habana. The place was small, but we somehow got a table right away. I didn't know much about the place, but that the food was affordable + you had to order the corn. Each order comes with two cobs, each with the sticks still in. They grill the corn, then smother each ear in mayonnaise + roll them in cotija cheese. A dusting of chili powder, served with two limes, it's kind of perfect. Since that first visit I have taken some of my favorite people to Cafe Habana, and I always make sure we order the corn. When thinking of what to create for Cinco de Mayo, a play on Cafe Habana's corn was something I became obsessed with. My co-worker Rachel actually came up with the potatoes idea, which I think worked out really well in the end! 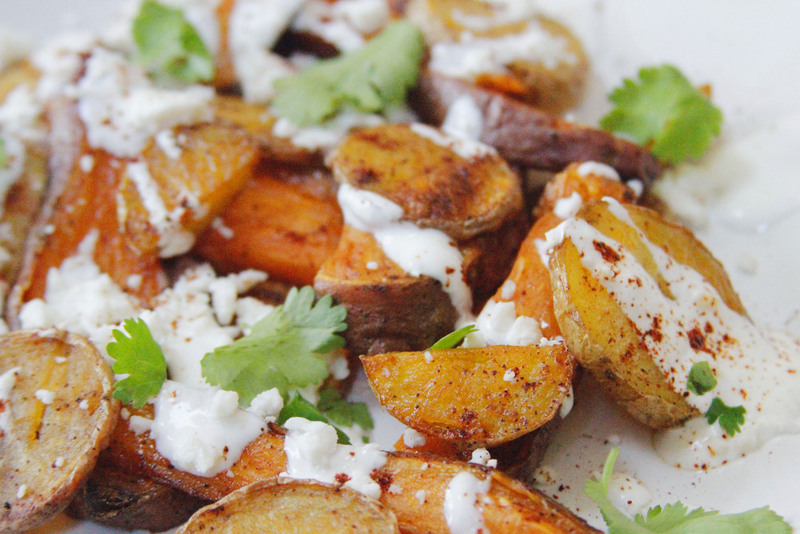 The potatoes are slightly spicy + definitely golden, but the lime sour cream calms everything down. The queso fresco is like a cheesy bonus! It has all of the elements of a classic Mexican-style grilled corn, but switched up. Frankly you can eat a plate of these on their own, or maybe with a margarita + some carnitas. You can share if you want. Preheat your oven to 350 degree Fahrenheit. 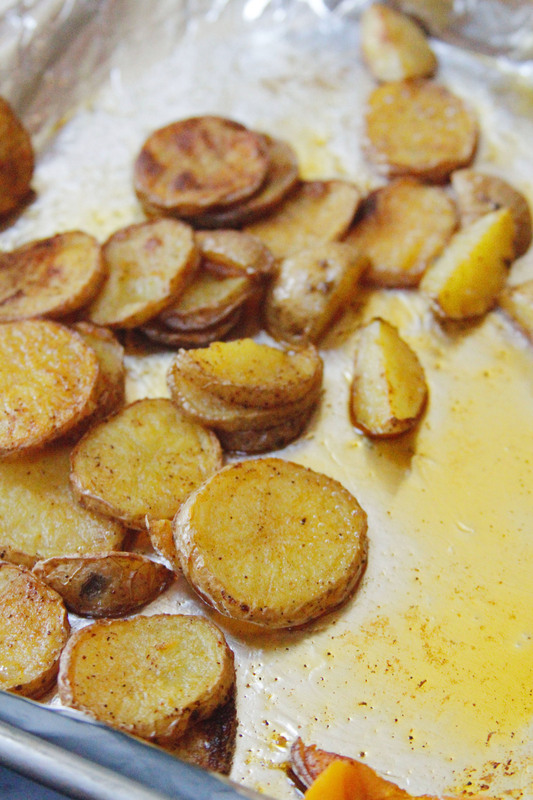 Combine both types of potatoes, olive oil + 1/2 teaspoon of the chili powder on a foil-lined sheet pan. Too little oil + the potatoes will stick. Too much + they'll be swimming. Keep it just right. 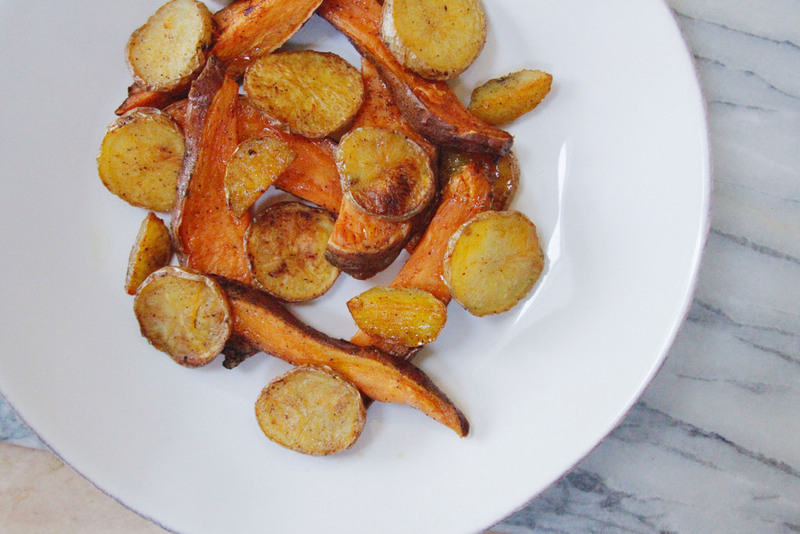 Roast the potatoes for around 40 minutes until golden + crispy. 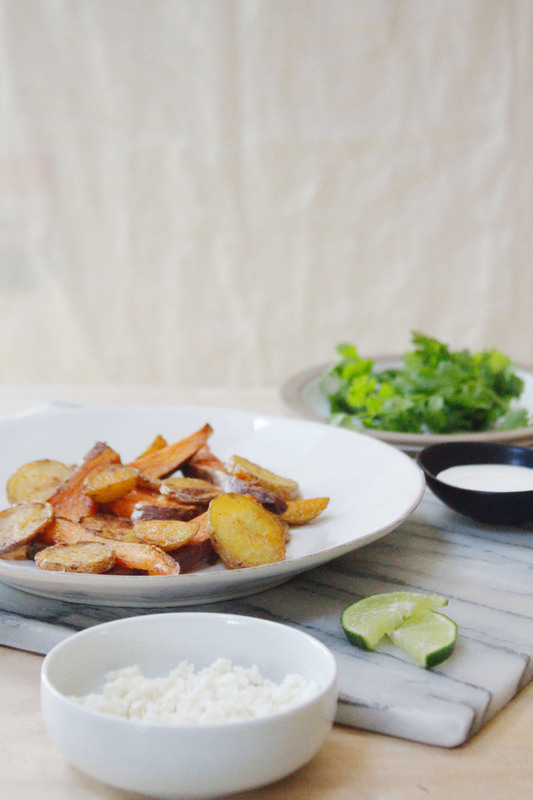 While the potatoes are roasting, combine the sour cream + the lime juice in a small bowl. To serve layer the potatoes on a large plate. Drizzle the lime sour cream on top. 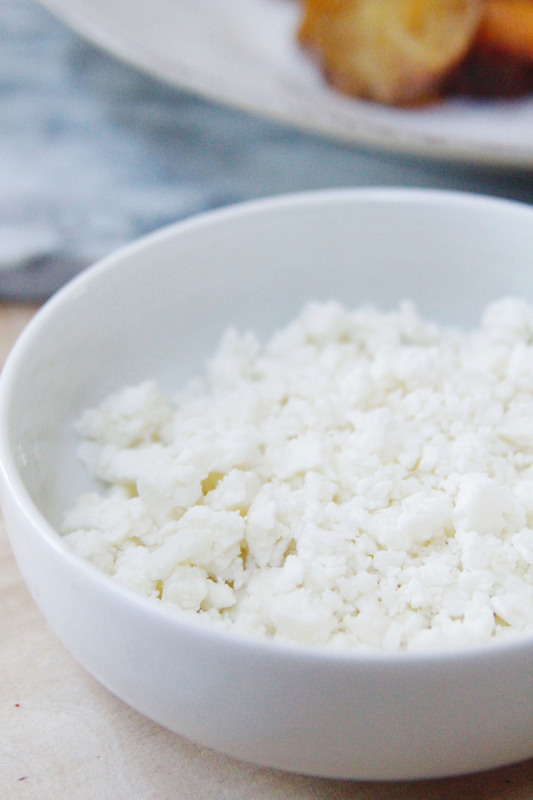 Crumble the queso fresco on top + finish with fresh cilantro + the rest of the chili powder.